The opening of the season is the exhibition “Olympia” by Aldo Gianotti, organized by the Foundation for contemporary art and media. The exhibition was originally created for Kunsthaus Graz. Now it is pre-modulated for the spaces of the Sofia Arsenal – Museum for Contemporary Art and FLUCA. Aldo turns the museum into a fitness center, with the seemingly sporting theme of his works looking for suggestions provoked by contemporary social or political realities. On 17 and 18 May, a Conference on cultural policies and the scene of the Western Balkans will take place at Goethe Institute. In June FLUCA will be placed in the Crystal Garden. There, the special presentation of Plovdiv 2019 – European Capital of Culture will take place. Next is the video program of the New York curator Naomi Lev, the performances of Kamen Stoyanov and Ivo Dimchev. In July, the container will appear at Sveta Nedelya square to present new ideas about Sofia’s urban environment. The program will end in early August in front of the National Theater “Ivan Vazov”. By the end of the summer FLUCA will be the main stage for contemporary art in Sofia, which will offer progressive forms of expression, forms of debates, concerts and many parties. 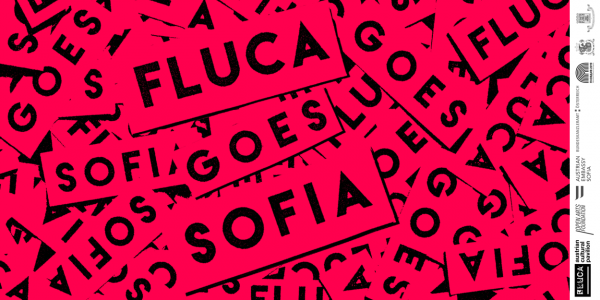 In September FLUCA – Austrian Cultural Pavilion returns to Plovdiv after its Sofia tour – and is ready to meet 2019 – the year in which the city will be the European Capital of Culture. But the start of events is much earlier. 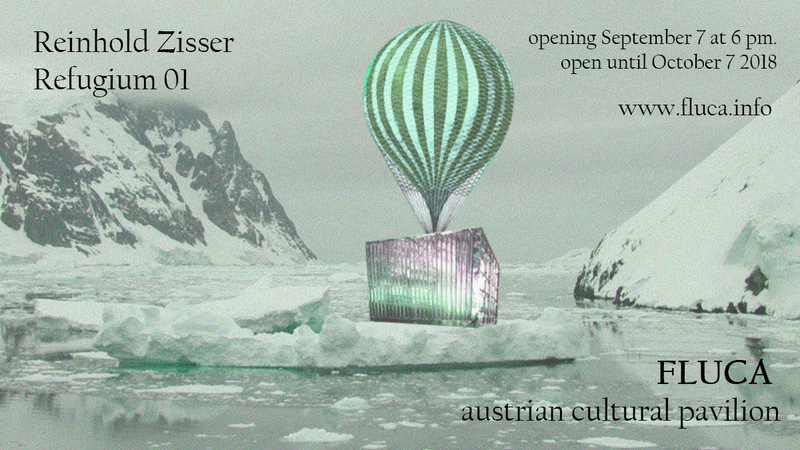 On 6 September, the container will become the musical box full of surprises which is being prepared for the party for artnewscafe’s birthday. On the next day (7 September) is the opening of the FLUCA season – Plovdiv. 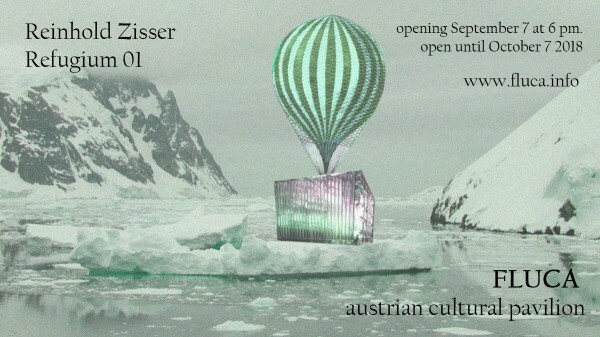 For the opening will be presented a video installation by Reinhold Zisser, director of Notgalerie, Vienna. He is preparing a completely new work, especially for the container: a film that brings together a visual artist, a musician and an actor. The film, shot in Austria and Plovdiv, is seemingly magical and strange, but there are references in our surrounding reality. The big news is that FLUCA will be part of the program of viennacontemporary – the largest international art fair in Vienna. This time in Notgalerie will be presented the solo show of Kamen Stoyanov titled “Fantasy is more important”, curated by Boris Kostadinov. The exhibition includes a film and photographs that tell stories about a village where a house is built with the roof down, a castle is being built next to it, and neighboring is a hotel from whose balcony Einstein is overlooking. For the presentation of FLUCA at viennacontemporary, a special brochure will be printed with the history of the container so far. The so-called “Enzi” (the architectural objects where the audience can sit) will be placed in front of the container at Otets Paisiy Street. They are renovated with designs by Vasilena Gankovska and Emil Kirov and will become the colorful accent of the renovated street. 27 September – open talk about the project Phantasy is More Important with the artist and the curator, and presentation of FLUCA in Notgalerie, Vienna by Vesselina Sarieva (Open Arts Foundation), Thomas Stoelzl (former vice-ambassador of the Republic of Austria in Bulgaria and FLUCA initiator) and Boris Kostadinov (FLUCA art director).